If you’ve been hacking away more than usual lately, it’s possible that your usual asthma medications aren’t to blame. While your inhaler is an important go-to when the wheezing hits, there’s more to asthma than what the doctor prescribed. A healthy approach to asthma avoidance means being aware of the environmental and lifestyle factors that make it worse. Elements such as exercise, pollen, animals and certain textiles can all contribute to making your asthma worse. So in your quest to give those overworked lungs a much-needed vacation, here are five things that are making your asthma worse… and how to avoid them. Stress has long been associated with asthma, but most asthmatics tend to forget just how central a role it plays in worsening the condition. You’re probably occasionally reminded of this in times of turmoil — like a particularly tense meeting at work, arguments with loved ones or bumper to bumper traffic. Then, all of a sudden, your asthma flares up out of nowhere and has you reaching for the meds. Interestingly, it might go even deeper than that. A 2012 article published in the Journal of Brain, Behavior and Immunity found that not only does psychological stress play a key role in suppressing the immune system and thereby worsening a person’s asthma, it also changes the qualities of pathogenic bacteria, making them more likely to exacerbate the already worsened asthma. The takeaway? Avoid stress wherever possible. Do whatever you need to get that heart rate back down again — meditation, a walk in the park, perhaps just watching a funny movie. They may seem like a far-off memory right now, but when those hot summer days hit you’ll be sure to hit the road and cruise around town with the windows down. It’s one of the greatest ways to get from A to B, but it’s also probably making your asthma a whole lot worse. When you think about it, driving with the windows down is the best way to get an extensive sample of all the pollen in your neck of the woods… and that spells bad news for your asthma. Even leaving the car under a shady tree with the windows down is probably a bad idea, as the heavier particles of pollen can fall straight into your window and make the drive home a very wheezy one indeed. If you find your asthma gets worse when you drive more, make a point of driving with the windows up and the A/C on instead. It may not be as much fun, but the cabin filter on your car should remove most of the pollens and other allergens floating in the air. Most Alternative Daily readers are well aware that conventional cleaning products and air fresheners are bad news for their health. But for asthmatics, these things spell very bad news. According to one study, 65 known carcinogens and reproductive toxicants are often found in commonly used cleaning products and air fresheners. In addition, “Many cleaning agents and air fresheners contain chemicals that can react with other air contaminants to yield potentially harmful secondary products,” said the report. For someone who suffers from asthma, these airborne chemicals can worsen shortness of breath and coughing. A 2012 study of 213 commercial products found 55 asthma-causing chemicals, many of which were in air fresheners and perfumed cleaning products. The solution? Keep it natural, wherever possible. If it’s pleasant fragrances you’re after, look no further than asthmatic-approved essential oils for a natural aromatic kick. And for cleaning products, white vinegar works just as well as most of the common chemical-based cleaners. While there is no doubt that your swimming efforts are doing your physique a world of good, the same can’t be said for your lungs. A slew of studies has shown that the chlorinated water in swimming pools — especially those indoors where the air circulation is poor — is seriously bad news for asthmatics. If you’re keen on swimming, stick to saltwater pools or outdoor chlorinated pools as a last resort. If it’s summertime, why not get a taste for the natural and head to the beach for your daily swim? Here’s another reason to avoid traffic on your way to work in the morning: it’s making your asthma worse. Bumper to bumper traffic is a hotbed of pollution, with thousands of vehicle exhausts creating a noxious cloud of fumes that invariably finds its way into commuters’ lungs. While this isn’t great for a person’s health at the best of times, for asthmatics it can spell disaster. Your first step should be to take a less congested route to work, if at all possible. Even if it takes longer, you’ll be exposing yourself to less air pollution and enjoy the added benefit of a stress-free drive — and as we know, less stress is also a very good thing for your asthma. Next, get your cabin air filter checked out. This is your primary defense against pollution on the road, and if it hasn’t been changed in a long time, it might not be removing enough particulates from the outside air to guarantee healthy lungs. Finally, consider asking your boss if you can work slightly different hours. Starting earlier or later might mean you can avoid the worst of the traffic and ensure your asthma doesn’t flare up with every commute. 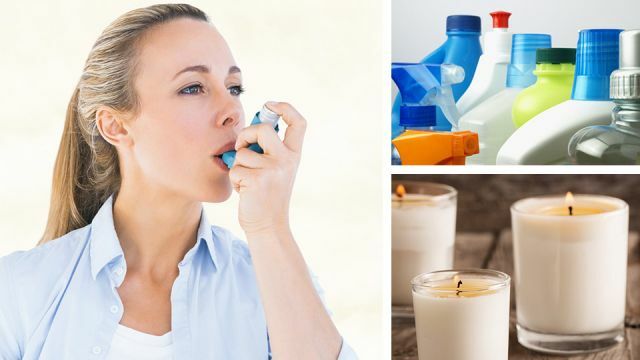 Hey Buddy!, I found this information for you: "These 5 Things Are Making Your Asthma Worse". Here is the website link: https://www.thealternativedaily.com/5-things-making-asthma-worse/. Thank you.